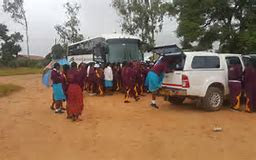 Government has concluded investigations into the case of Monte Cassino Girls High students, who a fortnight ago besieged Macheke Police Station complaining of corporal punishment being meted on them, among other allegations. Mashonaland East acting provincial education director Kennedy Maturure yesterday confirmed the completion of the investigations and said several recommendations had been made. “I confirm that the report is complete and out. I am currently in Gweru on government duty and we will hand over the report to the permanent secretary. Some of the recommendations will see some of the staff members facing disciplinary hearings and those found wanting will be charged,” he said. On March 15, the girls left the Catholic Church-run institution at around 4am and walked for about 7km to Macheke Police Station, accusing school authorities of confiscating their laptops, corporal punishment and sexual harassment, among other allegations. The girls were convinced to go back to school by government officials, who then launched an investigation into the matter.